Ever wondered why there are multiple power packs with different plugs when you unbox a new electronic? To put it simply, it's because many countries have different plug types and voltages. Products that come with multiple plug types are extremely useful, as they allow you to use the product it in multiple countries. If you purchase a product that does not comes with multiple plug types, you can simply purchase a travel adapter which can be attached to the end of the power supply. Before travelling with electronics, ensure you do some research to discover whether you need a travel adapter. 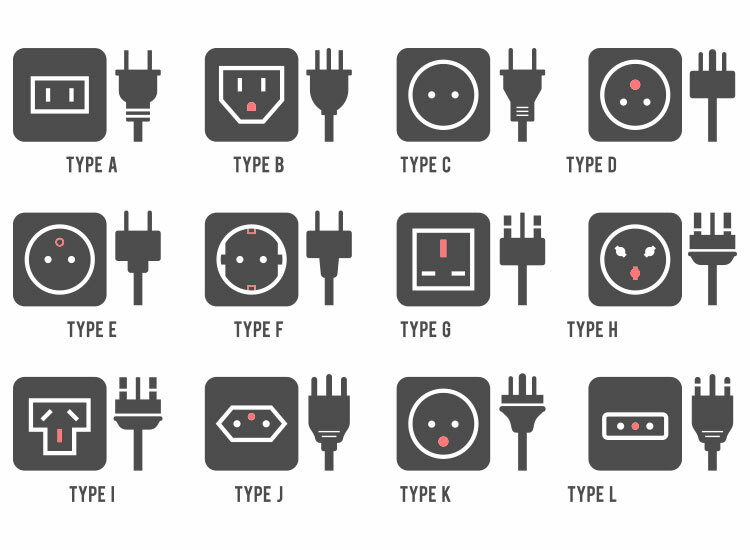 The following is a table of the plug types in some major countries. If you wish to know the plug type of a country not listed below, simply search for it online, these are extremely easy to find!